This divider kit is made for our 3" and 5" high x 23" long roller bearing drawers. The kit is made up of (7) steel strips that are slit on 1" increments and will make up to (16) compartments within the drawer. 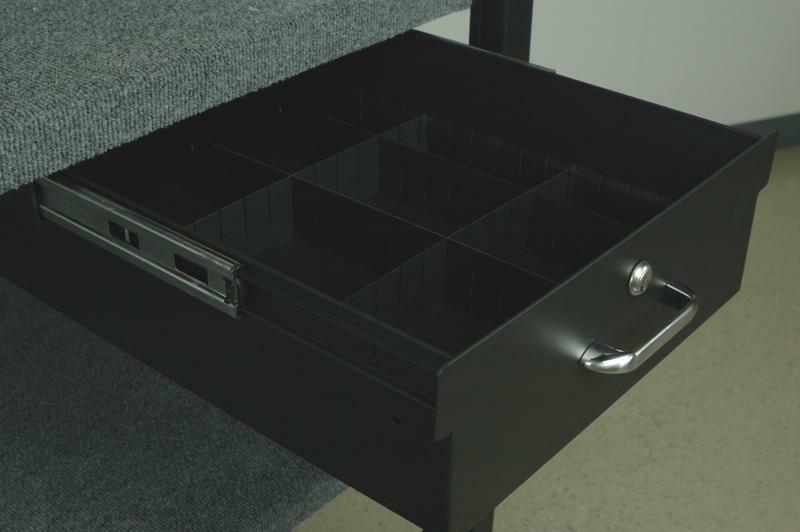 The dividers fit into our drawers to create small compartments and can be adjusted as necessary. All dividers are 2 1/2" high.